Charles has been leading this company for last 16 years. He moved to Hereford Texas to work as an accountant for Cotten & Warrick C.P.A. 's for seven years. 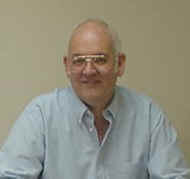 He moved to Wheeler Texas in 1984 and worked for Dickey Cory & Co. Certified Public Accountants for one Year. He then purchased the current Wheeler Practice from them and has owned practice in Wheeler since 1984. Honors: Lion member 30 years, Lion of the year Hereford Lions Club 1982, One of seven Lions World Wide to win the International Presidents Awards 1996 and Member of the wheeler EDC Board.